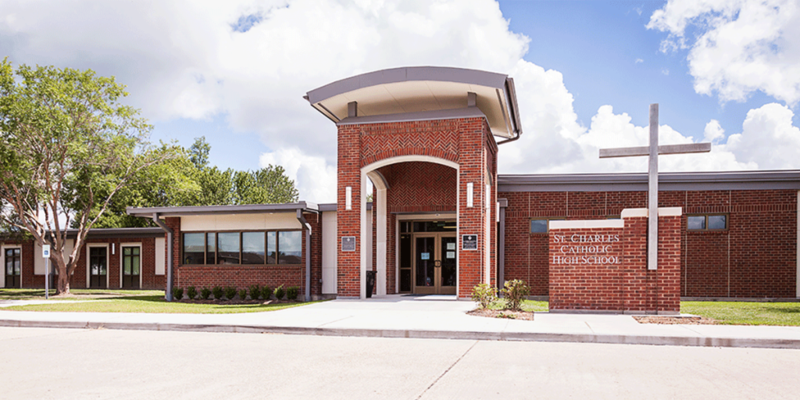 The Additions and Renovations to St. Charles Catholic High School in LaPlace involved a major exterior face lift to the main school building, a pre-engineered metal structure constructed in 1977. 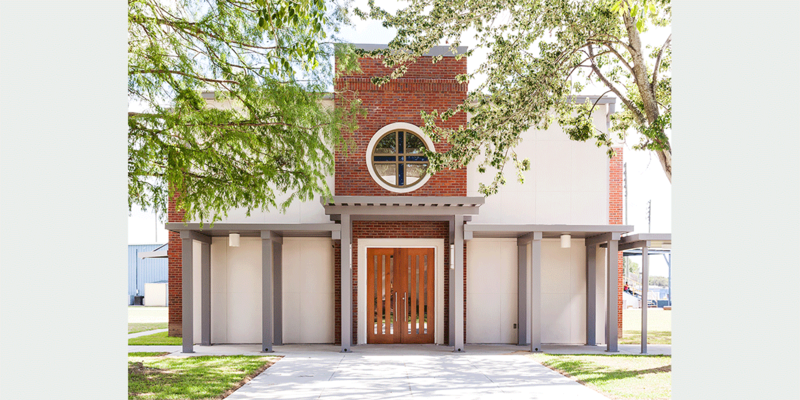 The exterior renovations replaced the old blue metal siding with brick, stucco and aluminum storefront windows. 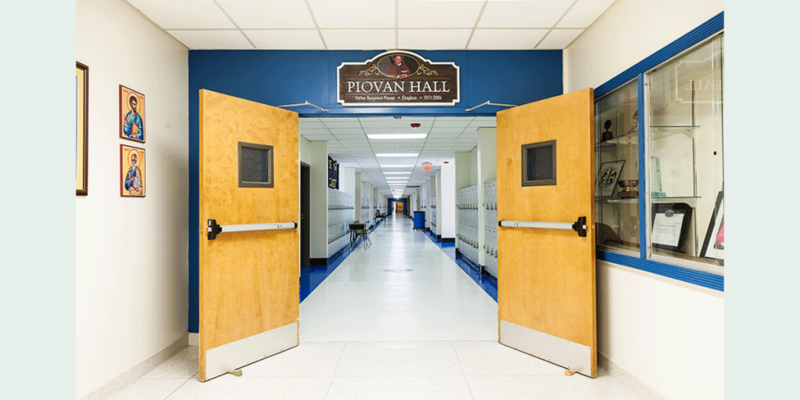 The Entry Addition brought prominence to the nondescript school entrance. The 1,400 SF Entry Addition includes a brick and cast stone entry portal, a vestibule, a conference room immediately off the vestibule, and added a new computer lab. 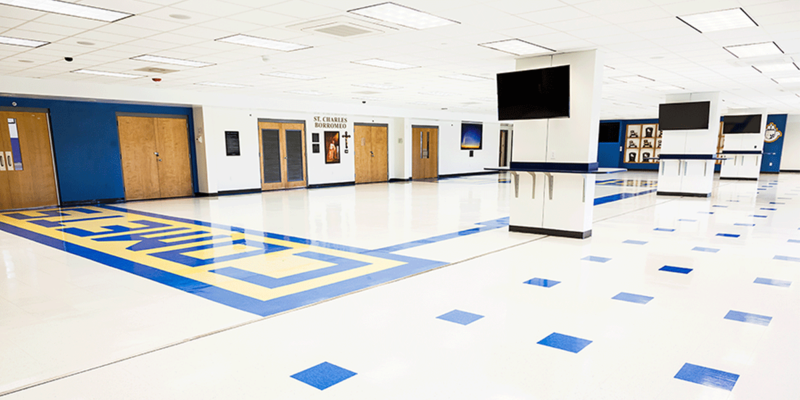 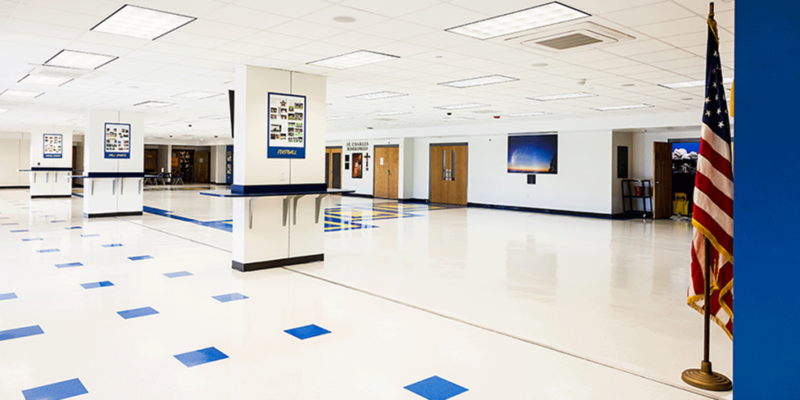 The polished terrazzo floors of the vestibule extend into the main lobby and to the school administrative offices. 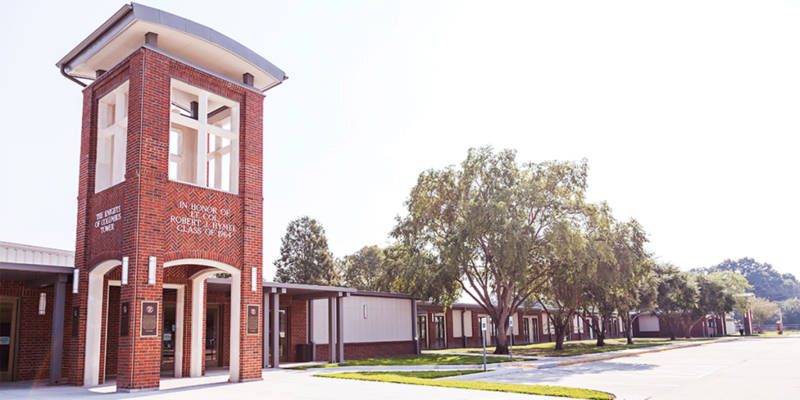 The conference room, which seats 20 people, was designed to accommodate faculty and school board meetings and replaces the school’s only conference room which had been converted to faculty offices. 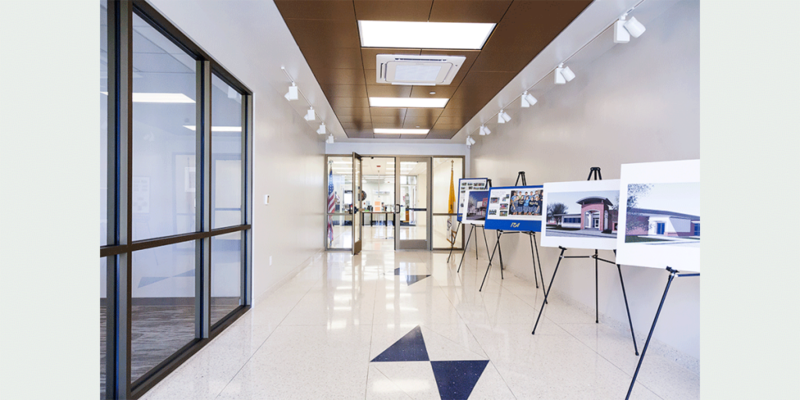 The Commons Expansion added 1,850 SF of café style seating to the Cafeteria and includes a tower dedicated to the memory of Lt. Col. Robert J. Hymel, an alumni of St. Charles Borromeo High School and a decorated Vietnam War veteran killed in the 9/11 attack on the Pentagon. 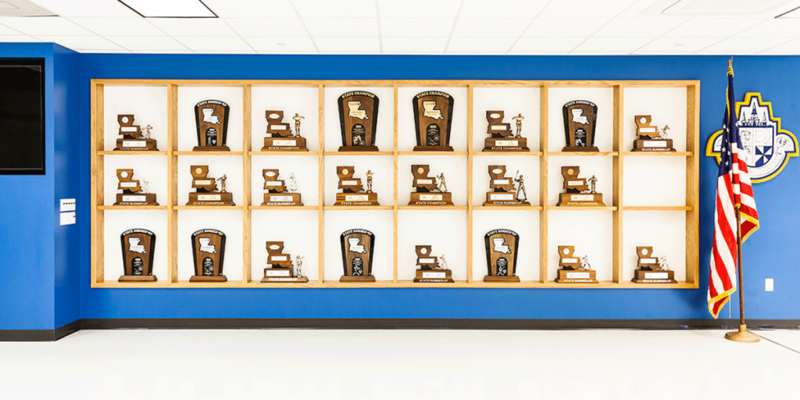 A new presentation wall displays the school’s state trophies and is the backdrop for the Quarterback Club and other meetings. 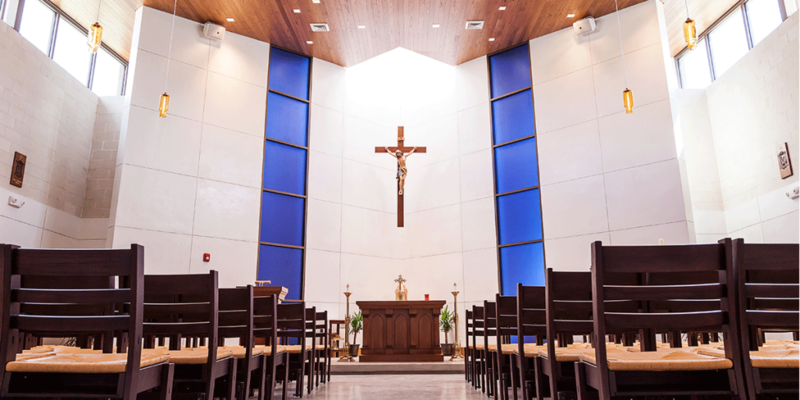 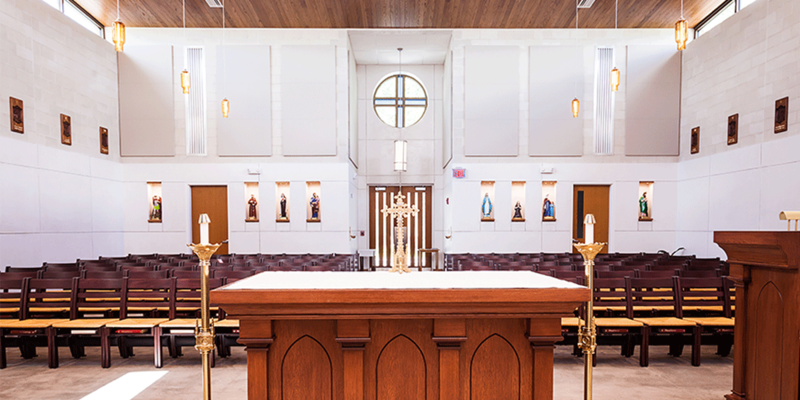 The 126-seat 2,500 SF stand-alone Chapel is designed for celebration of the Mass by an entire grade level and for the football team’s pre-game Mass. 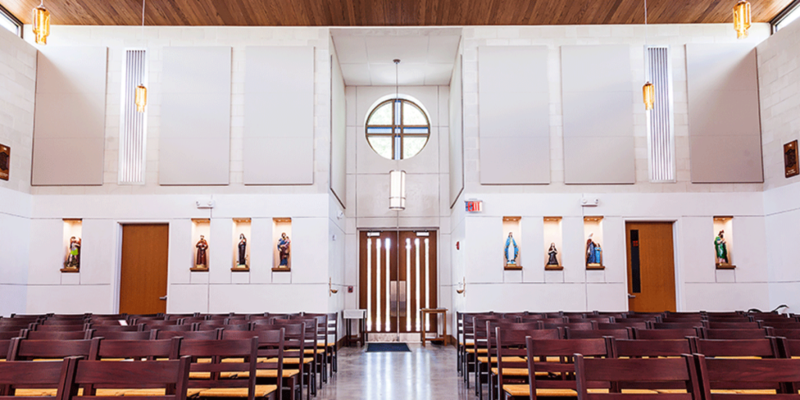 The new chapel’s site was positioned in the heart of the campus. 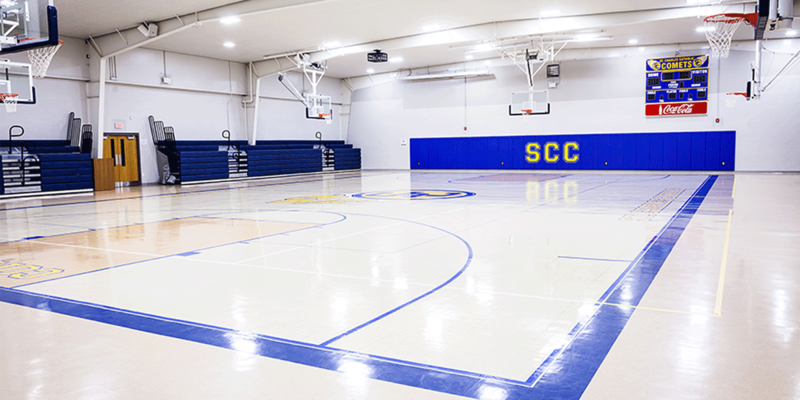 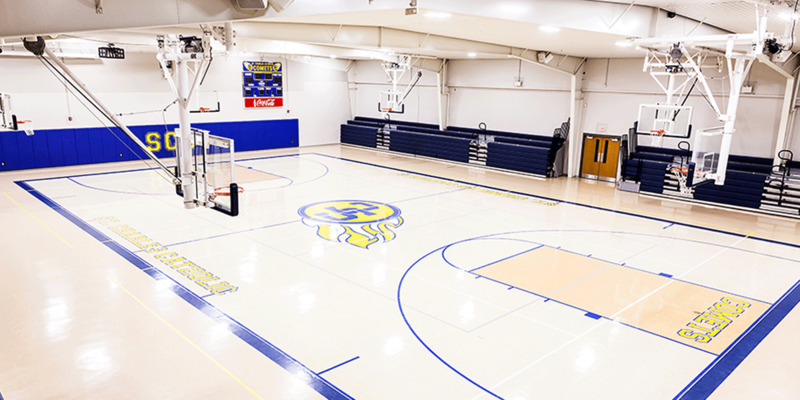 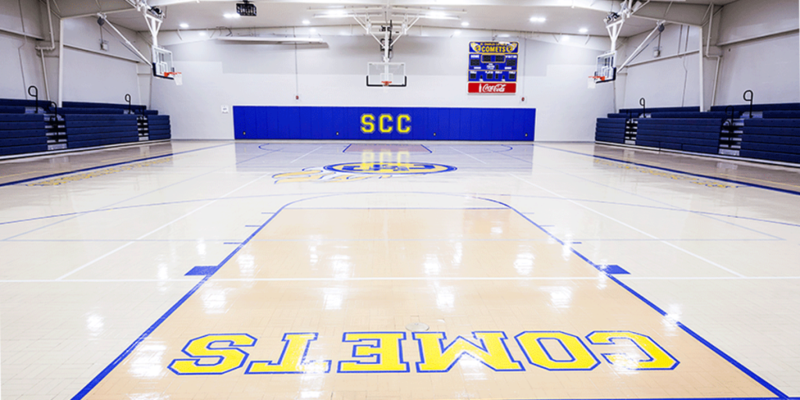 The gymnasium was also renovated, receiving a new court surface, new goals and bleachers, a new audio/visual system, and a new white perforated acoustical metal ceiling and LED lighting.